BlueVenn enables marketing teams to capitalize on their customer data in order to create unique marketing programs that increase customer loyalty and revenue opportunity. The BlueVenn Customer Data Platform integrates and enhance online and offline marketing channels for a diverse range of companies, including hotels, gaming, finance, retail, media and more. Segment provides the customer data infrastructure that enables companies to put their customers first. All Your Customer Data. Together. Hull is the first complete customer engagement platform, with user identity management, engagement mechanics, segmentation and retargeting in one single product. Analytics Infrastructure. Simplified in the Cloud. The Optimove CDP autonomously transforms customer data into actionable insights that power thoughtful customer communications, at scale. Tealium AudienceStream™ is the market-leading Customer Data Platform, combining robust audience management and data enrichment capabilities resulting in unified customer profiles and the ability to take immediate, relevant action. * We monitor all BlueVenn reviews to prevent fraudulent reviews and keep review quality high. We do not post reviews by company employees or direct competitors. Validated reviews require the user to submit a screenshot of the product containing their user ID, in order to verify a user is an actual user of the product. Hi there! 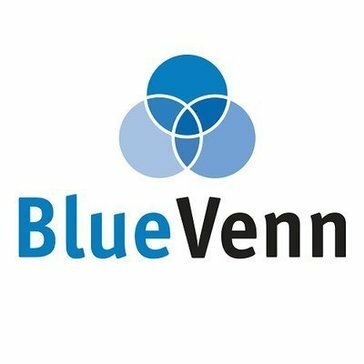 Are you looking to implement a solution like BlueVenn?